Robinson Galleria did it again. For the second time in one week, models surprised shoppers in a fashion mob near the mall's Activity Center last Friday, October 18. An estimated 20 male and female models participated in an impromptu fashion show which showcases the latest ready-to-wear collections of 50th Avenue, Daniel Hechter, Celine, Solo, Ensemble and Freeway. If you missed the glamour, another fashion activity will be held on November 8, en route to the grand Ramp Up Your Style fashion show on November 15. Thanks to Lito Calleon for rising to the occasion and providing us these photos. Credits also to Make-up Design Academy for the hair and make-up. 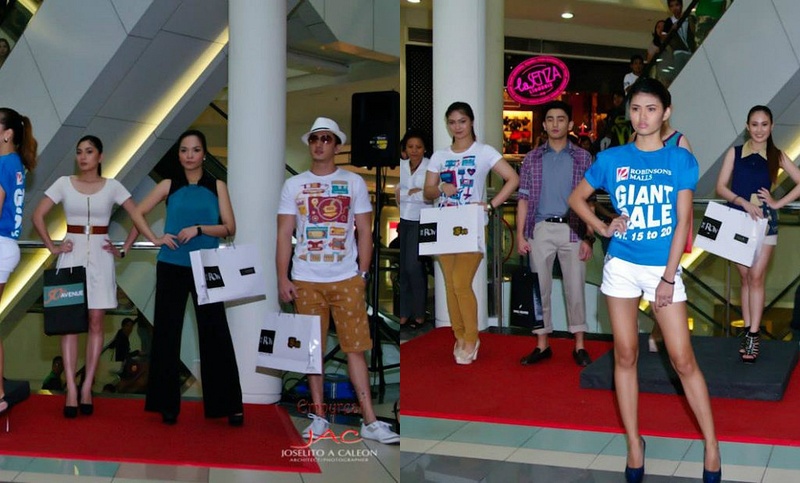 As mentioned, this is already the second fashion mob held at Robinsons Galleria. You can browse the photos from the first show here: Fashion Mob opens big sale and a grand runway show at Robinsons Galleria.